Extending the Life of a Roof. Roof and Gutter Heating Cable Case Study. Steep Pitch Roof. Problem Mostly in Gutters. - Mor Electric Heating's Blog about home, office & factory comfort heat & freeze protection for pipes & roofs. Extending the Life of a Roof. Roof and Gutter Heating Cable Case Study. Steep Pitch Roof. Problem Mostly in Gutters. 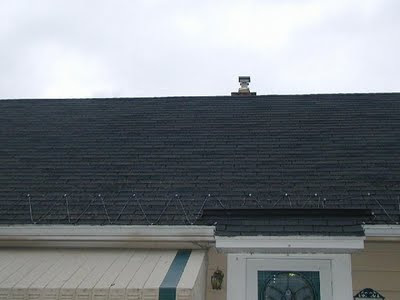 Some houses do not have water coming in the attic or house due to ice dam water back-up, however another benefit of roof and gutter heating cable can be preserving a roof. 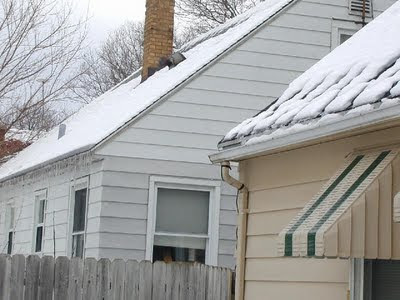 Several bad winters and ice dams forming on the gutter of the roof below had caused the roof to see better days. 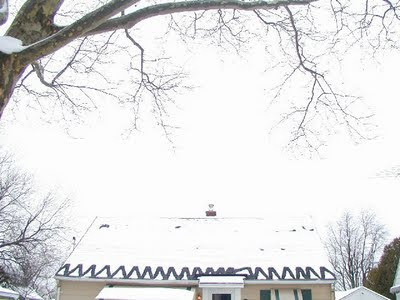 Replacing the roof was very costly but a minor investment in roof and gutter heat trace helped to prevent ice dams in the gutter and snow buildup above it. It helped preserve the roof for an estimated 3 extra years instead of having to replace the roof right away. 1. Lay the cable out in the driveway and check for any bad spots in the cable. 2. Push fish stick though the length of the gutter and then pull the end of the cable to the top of the downspout. 3. Push a fish tape down the downspout and pull a piece of string up through the down spout. 4. Use the string to pull the cable through the down spout. 5. 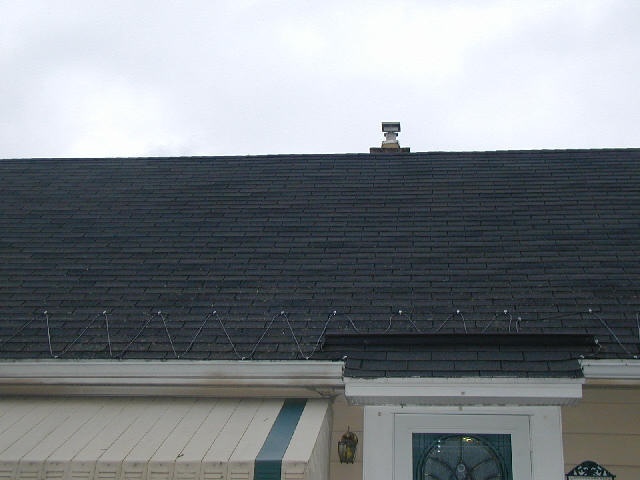 Start the layout on the roof, through a matter of trial and error but by having the cable in the gutter and downspout first, and knowing how much was available to do the roof. 6. The front of the house had two gutter systems and so two cables split the roof in half. 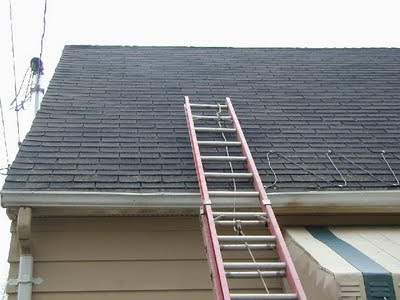 No drip loop was created at the bottom of the roof connected to the cable in the gutter because the homeowner decided that the pitch on roof was so steep (45 degrees). Also, because a cold section of soffit was non-existent due to the roof design (very little overhang) and high attic temperatures (no vents and very little insulation), there was not enough of an area where water would have the chance to refreeze before touching the gutter cable. In the seven winters that followed there was no trouble with roof, gutter, soffit and shingle damage anymore. The roof (shingles and plywood) were then replaced after the roof survived those seven winters. Previous PostAnother very cold, bad winter coming? (2011-2012 winter forecast)Next PostNew study links cosmic rays to aerosols/cloud formation via solar magnetic activity modulation | Watts Up With That?